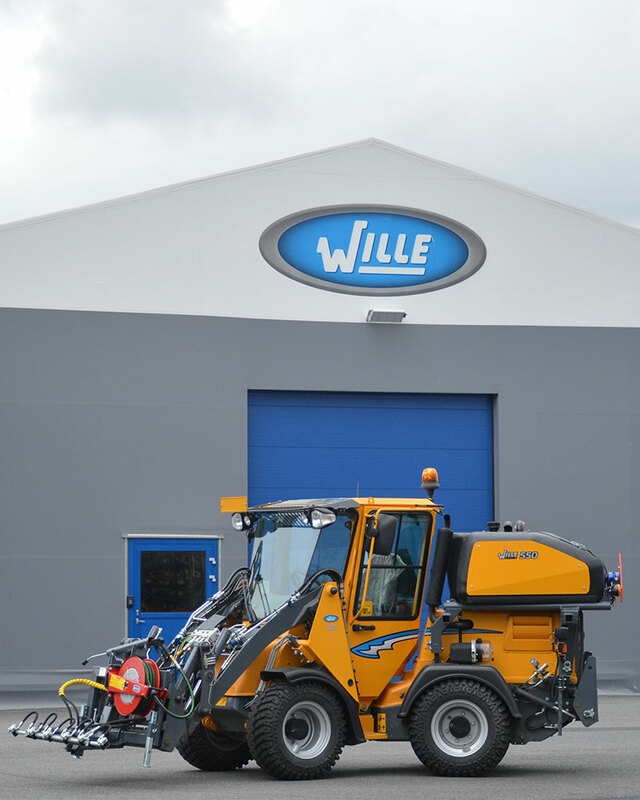 Wille Optim high-pressure washers are ideal for removal of fine-grained dirt and dust from the asphalt. For a smoother washing result, the washer directs water evenly to each nozzle. You can turn the nozzle pipe and decide the direction in which the dirt is to be removed. With the help of a hose reel, you can clean places that are hard to access, such as gateways, etc. The baffle plates inside the tank make the motion smoother when travelling between locations. 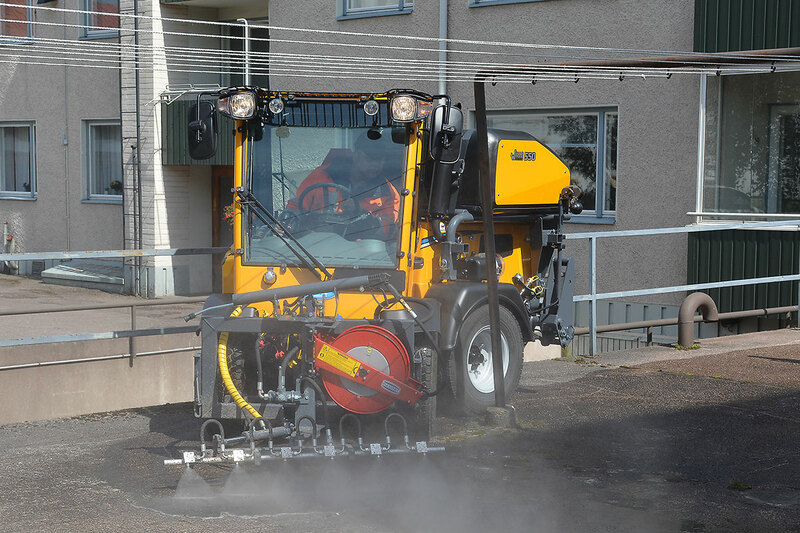 In connection with the collecting sweeper you can use the washer tank water for dust suppression. The refill water is filtered by three stainless, easy-to-clean filters.